Building All Children is so excited to announce that we are starting a Moms & Mentoring program this fall. We believe in all Moms and want to provide support and encouragement. Our Moms & Mentors program will be a small group of women coming together to listen, learn, pray and grow deeper in Christ. We are super excited about our Mentors! We have strong, Godly women leading these groups and we just can’t wait to see God work through this program. Building All Children is about Building…we desire to BUILD all Moms so they can continue to BUILD their children. Why Building All Children is starting Moms & Mentors? : I once had a conversation with a mom that was upset while feeling overwhelmed with the responsibilities of being a mom and caring for her children. She explained, “I feel like I am all alone and nobody understands.” I knew at this time that we were suppose to start a group that provides encouragement and support. The Bible tells us to be in unity. “Behold, how good and pleasant it is when brothers dwell in unity.” Psalms 133:1 We desire to be in unity and build our children together. Together serving God, we will Build Moms! 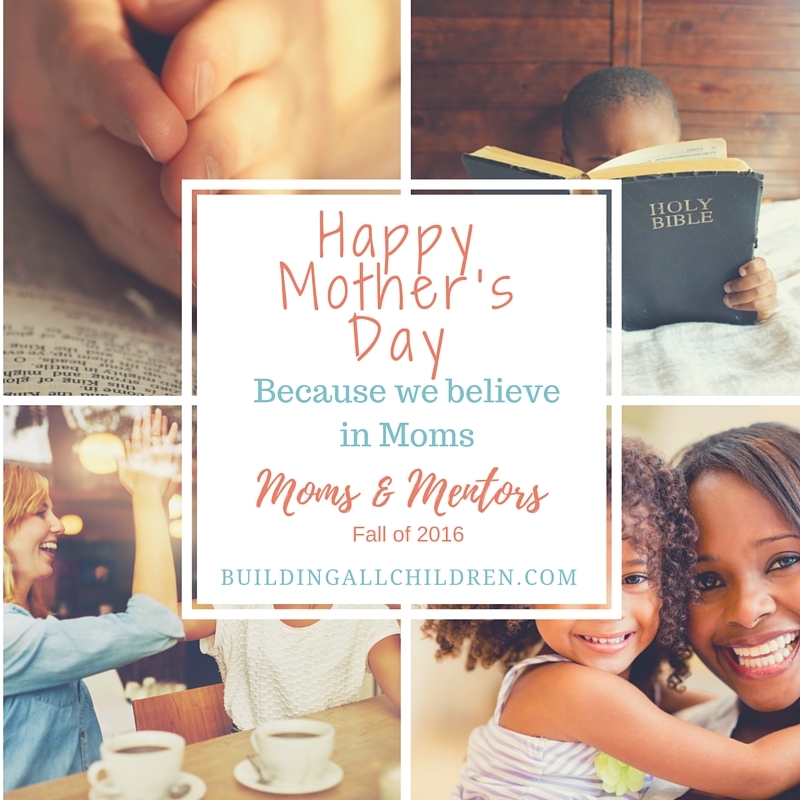 Building All Children…Building All Moms…Building the Kingdom!!! !